Public and private payers. Nursing home care is a major expense in our country, yet much of that expenditure could have been avoided by making use of less costly alternatives for senior care. 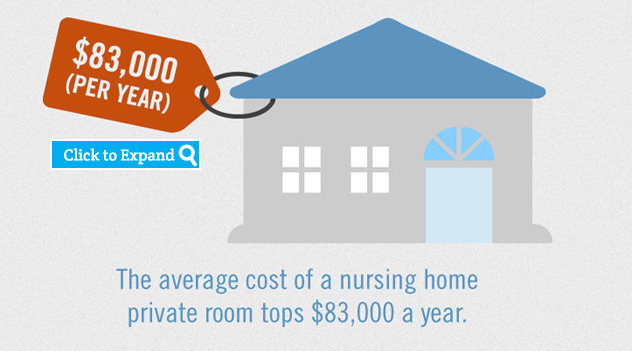 Average annual cost of a nursing home resident - $73,000. Average annual cost of an assisted living facility resident - $37,000. Average annual cost of providing non-medical in-home senior care - $21,980. Aging in place. A credible study conducted by the AARP shows that 89% of seniors want to age in their own homes for as long as possible. Spouses and children of seniors favor that choice by nearly the same percentage. For many seniors aging at home, a time comes when they need more assistance than family and friends can provide. The assistance they require is often practical, including help with housekeeping, preparing meals, shopping, running errands, doctor visits and medication reminders. Assistance by non-medical caregivers also includes the Activities of Daily Living, including dressing, bathing, eating, getting in and out of bed, etc. Even those suffering from dementia or Alzheimer’s disease can often stay in their homes when they receive in-home care. Home care provides not only these essential services, but also companionship that makes seniors feel safe and comfortable, providing seniors with safe, reliable care and companionship, and enabling them to remain independent. Non-medical home senior care is likely to be the least expensive of all of the options to senior assistance and the logical alternative to costly residential facility care.